The shoe that is said to be inspired by the rich heritage of basketball is set to come out in a new edition as Jordan Brand unveiled a new colorway of the Jordan 1 Flight. This new edition of the Air Jordan Flight features the same level of comfort and superb style, making it must-buy once it hit the market in Black/White – Cement Grey – Varsity Red colorway. 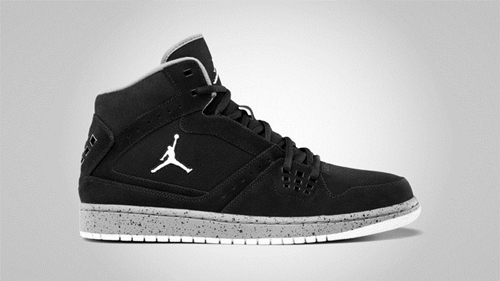 The silhouette features a black upper with a white Jumpman logo on it paired with cement grey midsole and white outsole. The new Jordan 1 Flight looks simple, but very promising. Watch out for this one this March!